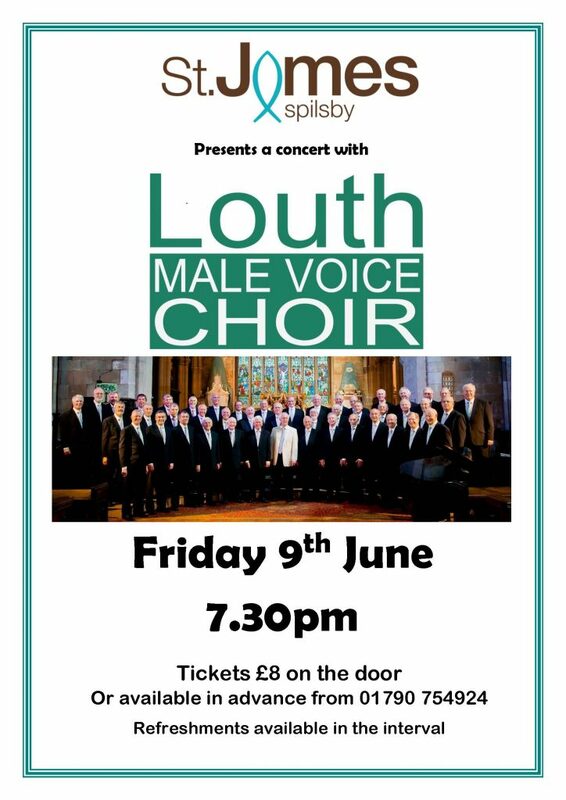 On Friday 9th June join us for an evening with the Louth Male Voice Choir in St James Church, Spilsby. Concert starts at 7.30pm and tickets are only £8 on the door or in advance from 01790 754924. Refreshments will also be available during the interval.